Vendors Forums: Welcome to Snowtrekker Tents! 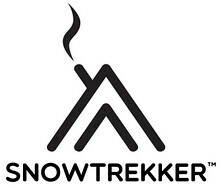 Wintertrekking.com is proud to announce the addition of Snowtrekker Tents to our Vendors business forums! Snowtrekker Tents almost needs no introduction to our Forums here, being in the business of manufacturing of one of the most well-used and best-loved range of canvas hot tents on the market for 20 years and counting. Snowtrekker Tents, stoves and accessories, are owned by many members of the forums here, and are featured in photo trip reports, videos, and increasingly are commonly seen as the hot tent being used in documentary films and videos from winter adventurers around the world. Welcome to Snowtrekker tents as a Vendor Forums business member!